Asia is the world’s growth factory. Two of the fastest growing economies in the world at the moment, China and India, are in Asia. It has been nearly 50 years since the Bangkok declaration that created ASEAN, which has emerged as one of the fastest growing economic blocs. It’s projected to enjoy a GDP growth rate of 3-8% over the next five years. It is in this economic centre of the world, in it’s very heart, that BlockShow Asia 2018 will be taking place as a part of the Asia Blockchain Week between November 27 – December 1 at the Marina Bay Sands Hotel. In the previous two years, blockchain has grown to become a nearly trillion dollar market; however, valuations have fallen sharply and the market has bled nearly $200 billion. The fall in the cryptocurrency markets has meant that hot money has been expunged out of the system and only serious players are left. The maturity of the market also means that institutional investors, governments, corporates and technology companies have also gained the understanding that cryptocurrencies and blockchain are here to stay and are not just a passing fad. Even the World Bank is getting on the blockchain bandwagon and has hired an Australian Bank to create, allocate, transfer and manage bonds on the blockchain. We are bringing BlockShow Asia 2018 to the financial hub of Asia at this crucial time for the blockchain industry to facilitate networking, marketing, investing, technology sharing and friendly interactions. While last year’s BlockShow Asia got the ball rolling and attracted over 1,500 attendees and 66 sponsors, as well as 67 international speakers of high calibre, such as Patrick Dai from Qtum, Brock Pierce from EOS, David Orban, Simon Dixon from BnkToTheFuture, Mike Kayamori from Quione, Zoe Adamovicz from Neufund, and Alexander Ivanov from Waves. This year all efforts are on to outdo that memorable event by bringing together 4,000 blockchain-related attendees to reinforce our bonds and build trust among the community. The event last year also hosted a startup competition whose winners Bancor and Electrify Asia managed to raise more than $200 million combined. We believe that our efforts since 2016 in Asia and elsewhere are now bearing fruits as the technology is taken more seriously by both governmental and corporate sectors than ever before. Asia Blockchain Week is an experience comprised of two big conferences that enrich your network with relevant investors, partners and customers, workshops that seek to answer questions of importance, a hackathon to scout for talents, a start-up competition to locate interesting new projects plus everyday parties to relax and network. On the final 5th day of the event, enjoy an “Open Doors” day that will feature all blockchain hubs, accelerators and companies in Singapore. Asia Blockchain Week’s strength lies in the strong bonds of partnership and the support the conference is receiving, especially from the local community. Partners for the event include LongHash, a platform for accelerating the development and understanding of blockchain technology, as well as ACCESS (Association of Cryptocurrency Enterprises and Startups Singapore) which is involved in advocacy, education, engagement in the cryptocurrency sphere and is a non-profit focused on the use and development of digital currencies and blockchain technologies. Blockchain as a technology can no longer be ignored and there is hardly anyone whose life won’t be touched on this planet by its unlimited potential. BlockShow Asia 2018 at the Asia Blockchain Week is your chance to contribute to the maturity of blockchain in its critical evolutionary phase. Blockchain is getting mature and you can witness it for yourself. Whether you want to become a sponsor or buy a ticket, now is the time to participate in BlockShow Asia 2018 and rub shoulders with the best, at the best blockchain industry conference in the world. 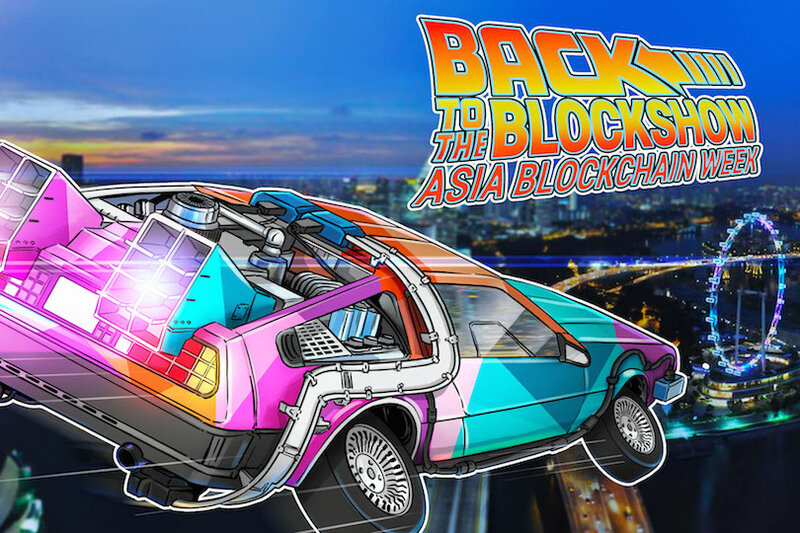 The post BlockShow Returns to Celebrate Blockchain in Asia With Asia Blockchain Week in November 2018 appeared first on The Daily Hodl.